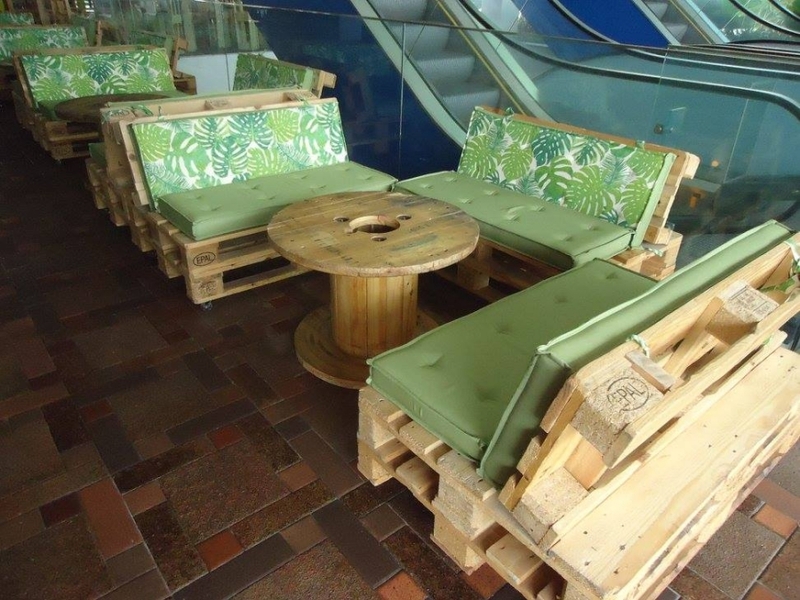 There was a time when people were least interested and convinced with the recycling of pallet based furniture items. But the easy and cheap availability of wooden pallets made it pretty burning idea that more and more people are getting inclined towards this idea. A whole bunch of internet stuff is available out there dealing with these recycling ideas. 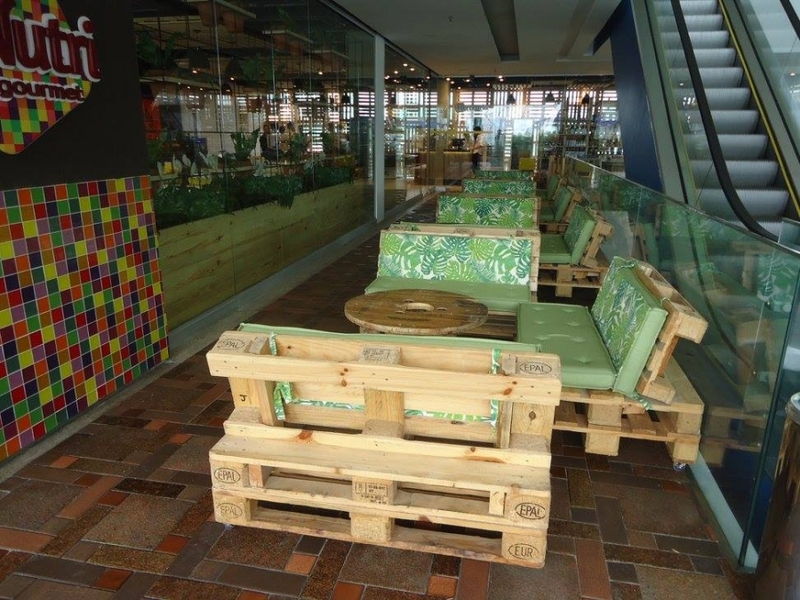 Houses, gardens, shops and even the restaurants are becoming pretty overloaded with the pallet recycled furniture items. Today we are working on a similar idea of some restaurant pallet furniture which is quite handy and also cost effective now a days. 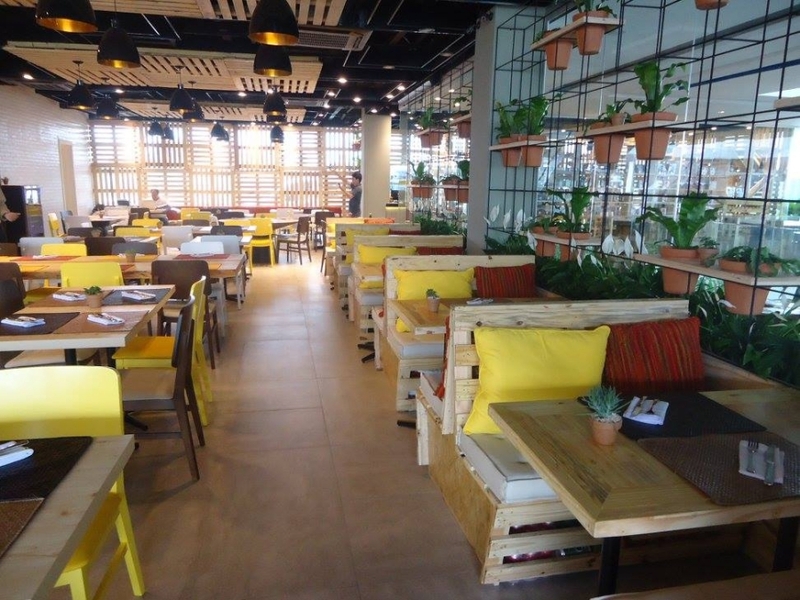 The idea of pallet furniture at a restaurant is pretty encouraging for the entrepreneurs who have started their business with smaller finances. As the furniture expenses are the biggest ones in a business set up especially when it comes to furniture. 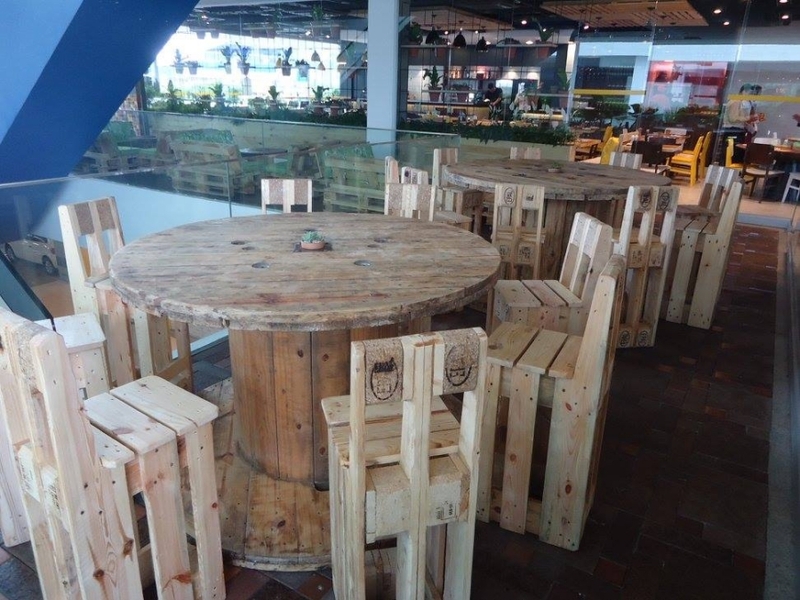 So having pallet upcycled furniture at a restaurant would prove to be pretty economical for the beginners as it would not embarrass their financial situation. 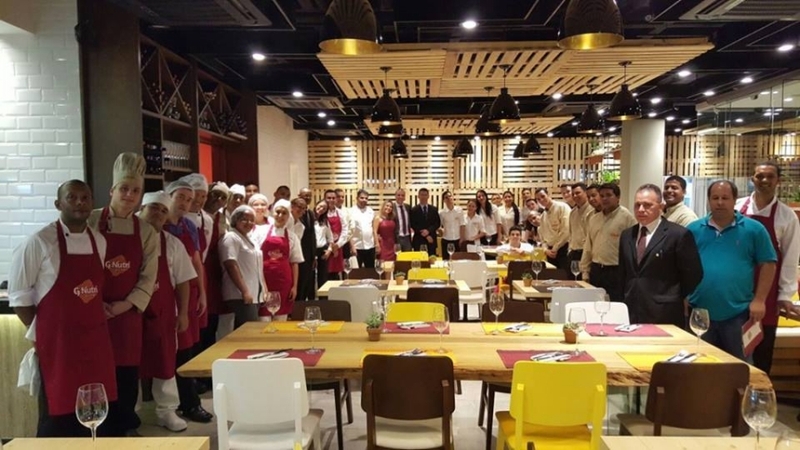 These restaurant pallet furniture plans are quite economical and handy to execute so certainly there would be no financial exploitation at their end. 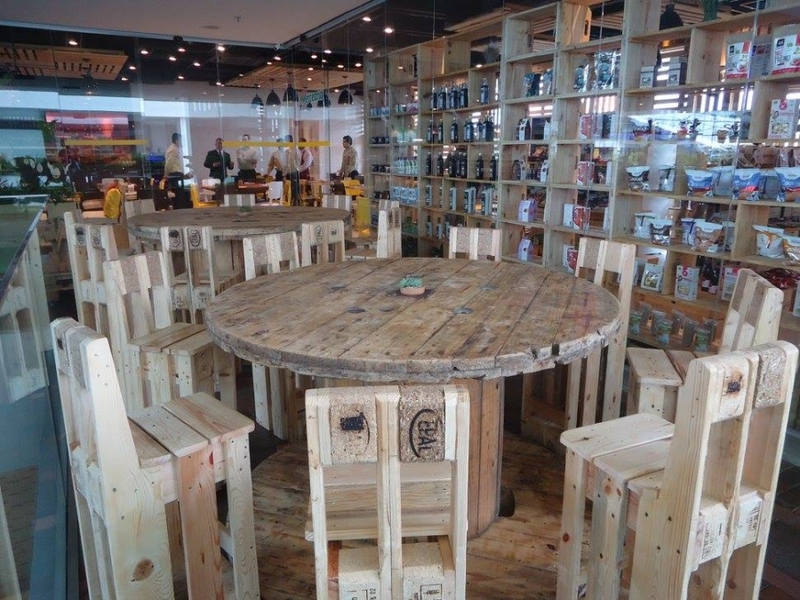 The project of the day is specifically restaurant based pallet furniture. Let’s have a look on all available options and possibilities. 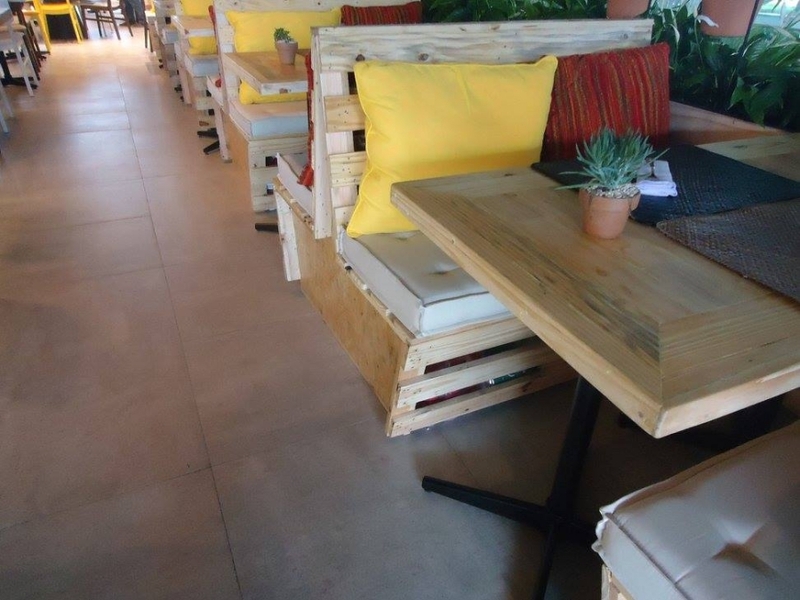 We can see here a bunch of restaurant pallet furniture where the sofas are recycled with plain wooden pallet planks. Similar sofas are designed and manufactured using the same dimensions and measurements. While we also see a couple of cable reels turned into center tables. All of this wooden material comes free of cost or you might have to pay minor expenses against them. The whole furniture set up of the restaurant is pallet inspired that has made its cost unimaginably low. Try making out this set up for your restaurant if you are lacking basic finances.